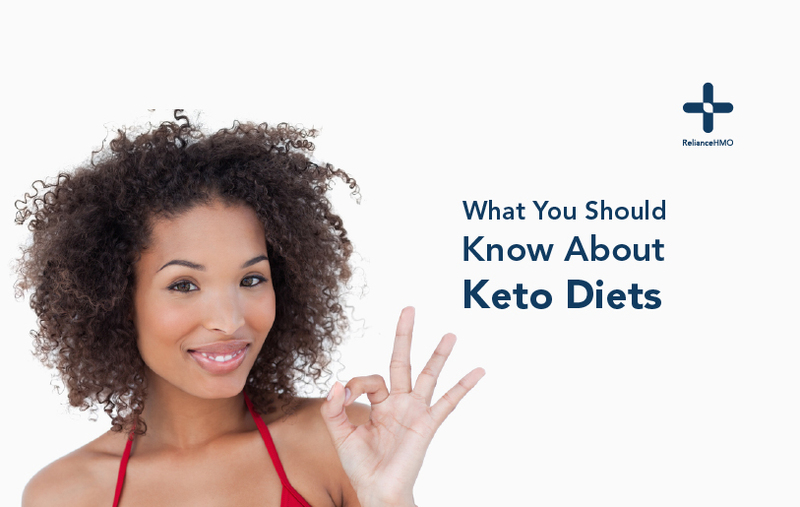 Ketogenic diets (also known as Keto diets) are low carbohydrate, adequate-protein, high-fat diets that forces the body to burn fats rather instead of carbohydrates. It usually involves limiting carbohydrates that are easy to digest like white bread, table sugar, soft drinks, and pastries. This diet was used primarily to manage refractory epilepsy in children, it has however gained popularity as an option for weight loss and managing diabetes. Keto diets limit carbohydrate content to about 20-50 grams per day. When the body receives less than 50 grams per day, it gradually runs out of blood sugar. When this happens the body starts breaking down fat and protein for energy; this process called ketosis is what makes you lose weight. Over time, it helps people develop a good fat to muscle ratio; this makes it appealing to endurance athletes especially long distance runners and cyclists. If you are considering a Ketogenic diet consult your doctor first to find out if its safe for you, especially if you are a nursing mother or have type 1 diabetes. It is always best you diet with care under the supervision of a nutritionist or doctor. This is mainly because of possible side effects that come with limiting the amount of carbohydrate you eat. The kidney is usually stressed when the body metabolizes its stores of fat and protein. This means you should not undertake this diet with medications or supplements that ordinarily overwork the kidney. The common side effects of Ketogenic diets aren’t usually severe; they include indigestion, constipation, mild low blood sugar. Long-term Keto diets also increase the odds of developing kidney stones and high levels of acid in the body. While staying below 50 grams per day may seem challenging, many nutritious foods can easily fit into this way of eating. Cheese: Besides being nutritious and delicious, you consume only 1 gram of carbohydrate for every 28 grams of cheese you eat. This makes it a good option for ketogenic diets. Tea and Unsweetened Coffee: Coffee and tea are incredibly healthy carbohydrate free drinks. They contain caffeine, which increases metabolism and alertness. Avocados: Incredibly light in carbohydrates, avocados are rich in vitamins and minerals including potassium. Avocados may also help you manage triglyceride and cholesterol levels. Seafood: Seafood like fish, shellfish, clams, oyster, and squids. Poultry meat: Poultry meat is considered staple foods on a ketogenic diet. These sources of protein are also rich in vitamin B, potassium and zinc. Eggs: Eggs are perfect for a ketogenic diet; one large egg contains less than 1 gram of carbohydrates. Nuts and Seeds: Some healthy nuts and seeds include cashew nuts, walnuts, sesame seeds, almonds and macadamia nuts. Olive Oil: This pure fat source contains no carbohydrate. It is best used for low heat cooking and as an additive to food. Coconut Oil: This healthy oil is absorbed directly by the liver and converted into ketones. This unique property makes it a good energy source for dieting. Remember, undergoing ketogenic diets may affect your health. Always consult a doctor before embarking on a diet.